After correctly predicting the outcome of Der Klassiker and making a profit last weekend, Kevin Hatchard's back with three more Bundesliga picks. "Mainz are in many ways the perfect opponents for BVB - they are consistently losing on the road, and are leaking plenty of goals." Despite the demoralising nature of their 5-0 hammering at title rivals Bayern Munich, it's worth remembering that Borussia Dortmund are just a point behind the champions with six games to go. BVB have hung in there long after many observers thought they would crumble, and they have won four of their last six Bundesliga matches, including the last three at Signal Iduna Park. In many ways, Mainz are the perfect opponents. Only a disaster would see Die Nullfunfer relegated, but they have played really poorly in the last few weeks. Don't be fooled by their bizarre 5-0 win over Freiburg last Friday - in 20 years as a commentator I have never worked on a game where the scoreline was less representative of the game as a whole. Freiburg were the better team in almost every respect, but Mainz were just incredibly efficient in front of goal. Mainz have lost their last five top-flight away games, and four of those losses were by at least a two-goal margin. My suspicion is that Dortmund's limp surrender in Munich will all the motivation they need to get back on track, and I expect talismanic captain Marco Reus to be particularly pumped up after he bemoaned the awful display in Munich. Against a team that isn't defending well, especially away from home, an attack that has scored 66 Bundesliga goals should flourish. I'll back BVB to win by at least a couple of goals here. 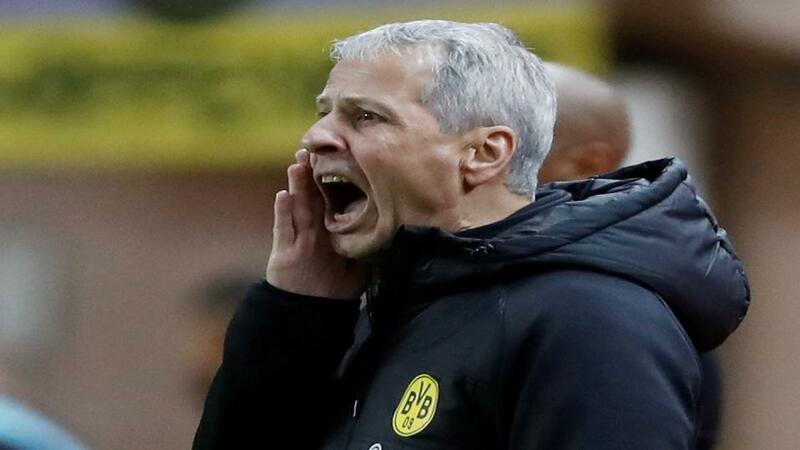 Life is never dull for a team coached by Peter Bosz, and while the Dutch tactician was being widely praised a few short weeks ago, there are now fears that a great start will give way to wailing and gnashing of teeth, just as was the case during Bosz's time at Borussia Dortmund. Bayer have lost their last three Bundesliga matches, wiping out their hopes of Champions League qualification, and seriously damaging their chances of making the Europa League. They have leaked 11 goals in those three games, but interestingly Bayer forward Julian Brandt doesn't believe poor defending has been Die Werkself's worst crime in those games. The German international thinks the consistent failure to maximise goalscoring opportunities is what's really holding the team back. Stuttgart missed a great chance to boost their survival hopes last weekend as they were held to a 1-1 draw by fellow strugglers Nurnberg, but at least they had the wherewithal to fight back from a goal down, and they have now lost just one of their last five home matches. Stuttgart's hopes will be hit by the loss of former Bayer player Gonzalo Castro to injury, but against a Leverkusen side that is struggling, I think the increasingly solid hosts can eke out another positive result. You would think that a 5-0 win over your title rivals that returned you to the top of the Bundesliga with six games to go would be something of a calming, unifying force, but that doesn't seem to have been the case with Bayern Munich. That drubbing of Dortmund was a superb example of what Bayern can do on the pitch but there are still big issues off the field. There is a clear difference of opinion between president Uli Hoeness and CEO Karl-Heinz Rummenigge about the future of coach Niko Kovac, with Hoeness fulsome in his praise of the Croatian, and Rummenigge rather less warm, refusing to guarantee Kovac a job beyond the summer. Add in an alleged training-ground clash this week between star striker Robert Lewandowski and Kingsley Coman, and the picture is far from perfect at Sabener Strasse. Fortuna Dusseldorf are one of the season's great success stories. They made a poor start to the campaign, but refused to abandon their attacking approach, and they could be officially safe from relegation by the time they face the champions. F95 have beaten Borussia Dortmund this season, and they came back from 3-1 down to draw 3-3 at Bayern in a game that probably gave them the belief they could compete at this level. Fortuna have won their last two matches 3-1 and 2-1, and I think they can give Bayern a run for their money this weekend. The Bavarian giants have only won one of their last five Bundesliga away games by more than two goals, and I'll give Fortuna a two-goal start this Sunday.